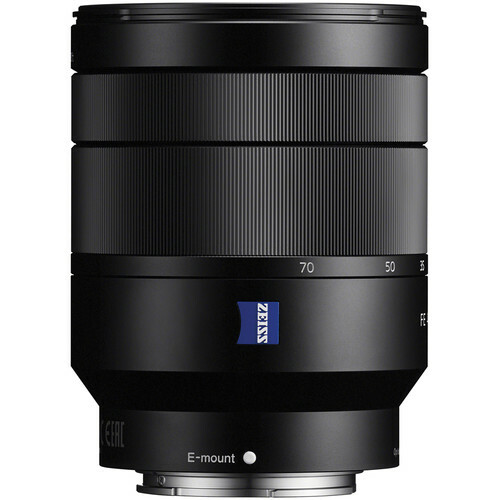 The Sony 24-70mm Lens is a compact full-frame option that covers wide-angle to short telephoto perspectives for working with a variety of different shooting styles and subjects. A constant f/4 aperture makes operation smooth and consistent throughout the zoom range. The lens further benefits from the use of one extra-low dispersion element and five aspherical elements to combat aberrations as well as a Zeiss T* anti-reflective coating to keep flare and ghosting to an absolute minimum. The lens is fast to focus as well due to the linear autofocus motor and an internal focus design. Additionally, the dust- and moisture-resistant lens is equipped with Optical SteadyShot image stabilization to reduce the effects of camera shake, and it has a seven-blade circular diaphragm for smooth bokeh. Covering wide-angle to short telephoto perspectives, this compact 24-70mm can quickly become a go-to lens for Sony’s full-frame E-mount cameras. It can also be used on APS-C format cameras where it will provide a 36-105mm equivalent zoom range. Five aspherical elements are incorporated in the lens design to reduce astigmatism, field curvature, coma, and other monochromatic aberrations. Optical SteadyShot image stabilization helps to minimize the appearance of camera shake for sharper imagery when shooting handheld with slower shutter speeds. This stabilization system can also be combined with select camera’s sensor-shift type image stabilization for more effective control of camera blur. 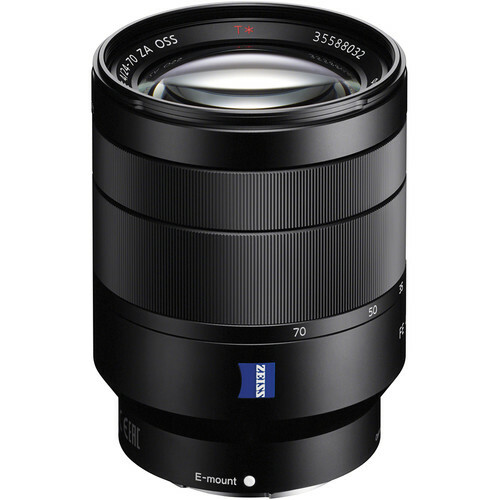 Rent the Sony 24-70mm Lens today at Deck Hand Camera Rentals!